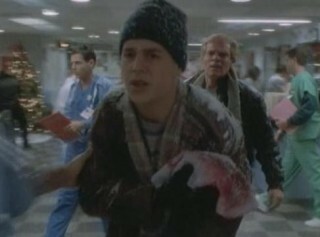 In 1995, Sean participates in one episode of the famous medical series "ER". (1st broadcasting: in September 19, 1994 in the USA on NBC ), this series was created by Michael Crichton and counts this day 304 episodes and 14 seasons (the 15th and last season is in the course of production in United-States-2008/2009). Its size is one episode a week of 42 minutes. The producers are Patric Harbinson and Jonathan Kaplan. This series tells the everyday life of doctors and nurses working in the emergencies service in a hospital in Chicago. "ER" was not initially planned to be a series, but a film realized by Steven Spielberg. He's abandoned the project to focus on another Michael Crichton's creation: Jurassic Park. 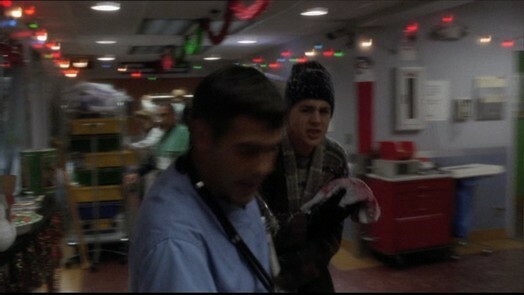 Finally, it's as producer, with his company Amblin Television, that Spielberg participated to "ER" on TV. In 2007, "ER" is side by side with the series "Cheers" to obtain the title as the series having received most large number of appointments in Emmy Awards; both add up 117. It's in the episode 10 of the season 2 that Sean appears under Bret Maddux's features. Summary of the episode: Separated from his wife, the Dr Greene is more worried by a lawsuit which we instituted him after the death of a pregnant woman. He finds some comfort with Anna Steiner, a survivor of concentration camps, assaulted while she was stopped in a red light. The thief ran away with her car in which slept her girl. A group of young people lands then in the service, accompanying a priest, hurt by bullet. Before dying, and to avoid a confrontation girthing between two gangs, this one asserts that it is the stranger who fired at him.During this time, emergencies look after the members of a troop of skaters, hurt by a machine to clean the ice which drove a drunk man. The Dr Benton, him, is summoned by the Dr Vucelich who wants to examine an ideal subject to experiment his new surgical technique. While he has to convince the woman of the patient to accept the intervention, he is anticipated by Carter. There are several photos of Sean from this episode. Here's a couple.